Tropical Disturbance 03F was upgraded to a Depression at 6am today. 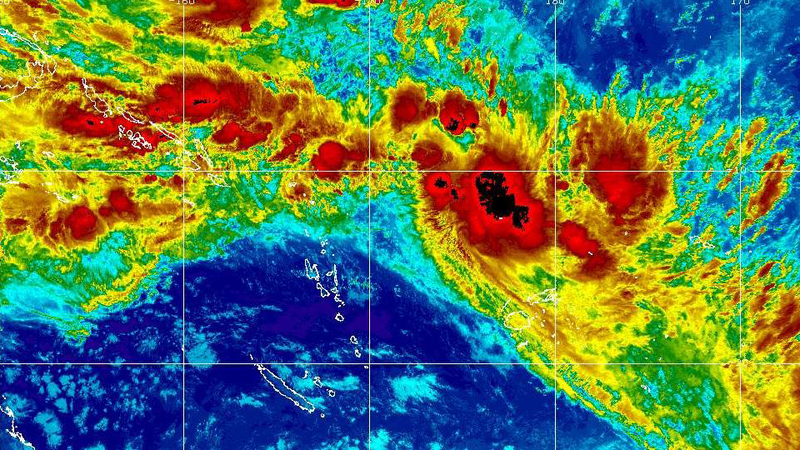 The Fiji Meteorological Services says TD03F was located about 470km west-northwest of Rotuma and about 860km North West of Nadi at 7am today. 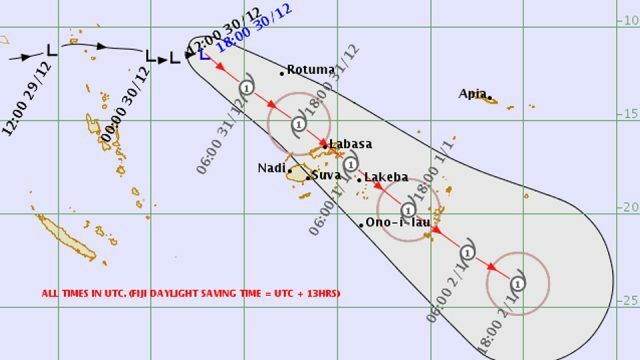 Acting Director Viliame Vereivalu says TD03F is expected to intensify further into a category 1 Tropical Cyclone in the next 12 to 18 hours with average winds of 65km/hr and momentary gusts to 90km/hr. Vereivalu says TD03F is currently moving east-southeast at about 22km/hr and is expected to start tracking southeast in the next 6 hours. Meanwhile, he says an active trough of low pressure with associated cloud and rain lies slow moving over Fiji. 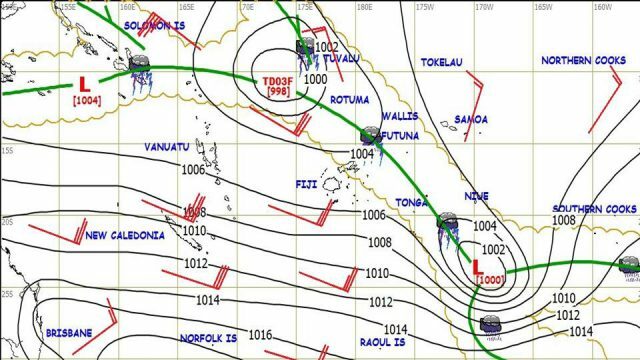 Vereivalu says for Rotuma, they should expect strong northwest winds with average speed of 55km/hr with gusts to 80km/hr. He says winds increasing further to damaging gale force winds with average speed up to 65km/hr and momentary gusts to 90km/hr from this afternoon. 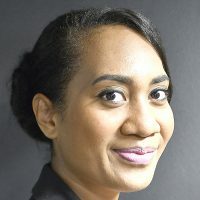 Mariners can expect gale force winds with high seas over Rotuma Waters. Winds becoming strong with average speed of 50km/hr and momentary gusts to 80km/hr from this afternoon. Winds increasing further to damaging gale force with average speed up to 65km/hr and momentary gusts to 90km/hr from tonight. Expect periods of rain, heavy at times and few thunderstorms in the above areas. Rain should become frequent from tonight. Flooding, including sea flooding of low-lying areas likely. Vanua Levu, Taveuni and nearby smaller islands. 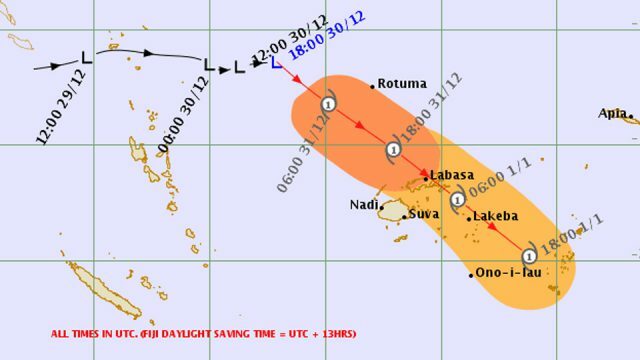 A tropical cyclone alert remains in force for Lau and Lomaiviti Group. A strong wind warning remains in force for the rest of Fiji land areas. Group, Lau and Lomaiviti Group and eastern half of Viti Levu. The Fiji Meteorological Services is closely monitoring the system and any alert and warning will be issued as and when necessary.